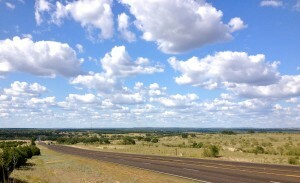 The Texas Hill Country is known for spectacular scenic beauty. Tourism drives much of the region’s economy as visitors are drawn to the many scenic drives, rolling hills and heritage ranch lands. Yet protections don’t exist for threats to our valuable scenic assets. More and more scenic view sheds are degraded each year by billboards, cell towers, transmission lines and rooftops. Even the night sky is effected by human carelessness as sky glow reduces our view of starry skies. 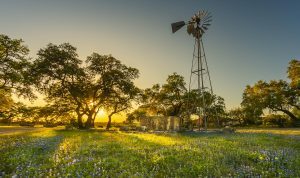 The following pages are designed to help educate and activate people in the Hill Country to take steps to protect the scenic beauty we sometimes take for granted. Learn more, talk to your neighbors, get involved. Scenic beauty is one of the most valuable assets of our region. Yet new billboards are being erected at an increasing rate on our county roads and highways, detracting from our region’s unique character and distracting drivers on windy roads. Growing urban sprawl and development can bring more than just air pollution — they bring “light pollution,” where unnecessary artificial light floods peaceful natural skies, making stargazing a thing of memory. Many Hill Country landowners have expressed concern about the effects of large transmission towers on or near their property. Entities such as the LCRA, who will be constructing these lines, will have the power to use eminent domain to secure easements. When oil and gas companies intent on using private land for large pipeline construction projects contact landowners, it is crucial for landowners to know their rights, understand the condemnation process, and have access to resources to inform their decision-making.